As retailers seek to combat the effects of showrooming, finding a way to monitor competitor prices is more important than ever, especially during the holiday shopping season. 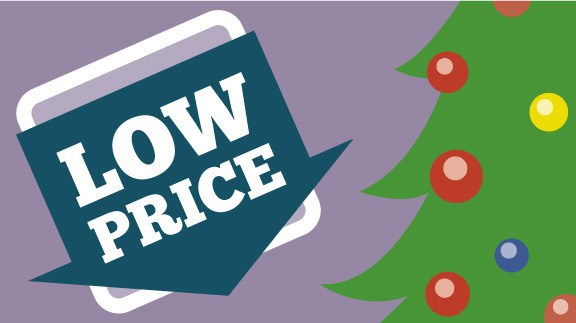 While consumers are more willing to spend in the weeks leading up to Christmas, a ComScore study revealed that price is still a major determining factor in consumer choices. Almost three-fourths of respondents state they bought a product online after viewing it in-store simply because the price was better. The goal this Christmas season is to show customers that your business provides the best value for their holiday shopping dollar. Here are three tips for making your store stand out in this year’s Christmas rush. If your business isn’t watching your competitors, they’re likely watching you. Through price monitoring software, companies now have the ability to know instantly when a competing business raises or lowers its prices. This means when you lower your prices, your direct competitor may drop theirs even lower, and then advertise it to win over customers. Bonuses like a free gift with every purchase or in-store wrapping can add value without forcing you to lose a profit by lowering prices. Instead of taking a cut in profit margins, consider promising a free gift with every purchase and make the gift something fun and interesting. Perks, like free gift wrap, can also make a big difference when holiday shopping. Successful companies often regularly show a commitment to keeping prices low as part of their marketing. While consistent monitoring of competitor prices can help you keep that promise, you may find that promising to beat any prices by five percent or more is much more effective. Most competitors won’t take you up on it and those who do will see your commitment to the best prices as a customer service perk. Although good customer service and convenience are important, customers are still looking for a great value. By consistently demonstrating a dedication to providing the best prices on the market, a business can show it takes that commitment seriously.